SHARE THE BENEFITS OF ESSENTIAL OILS WITH YOUR FRIENDS & EARN FREE PRODUCTS!! During the next several weeks – until October 21st, 2017 – Anyone who hosts an essential oil class with me will get the following for FREE!!! I will Teach your class and bring all the materials needed. FREE Samples!! 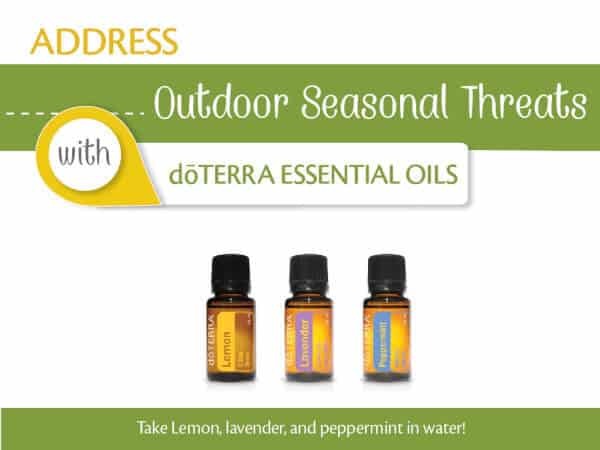 When your class is completed, with the guidelines listed below, you will receive a FREE Deluxe Sampler to spOIL you and your family AND you can also receive a FREE Diffuser like the one shown above. Bonus: When you **Have at least 1 guest (this includes you too) who opens a wholesale account before or the day of class YOU will receive a FREE Diffuser to enjoy your oils with! You bet it is! I can help you with an easy invitation that you can send to friends via text, email, facebook or to call them personally. Your friends and family will enjoy a laid back, simple approach on how to use essential oils for health benefits, cleaning, skin care, pet care, pest control and more! They are encouraged to ask questions and I can show them how easy it is to find information on their own, without having to rely on someone else to enjoy the benefits of essential oils. We offer the #1 brand of essential oils worldwide and the reason we are #1 is because you can trust that we offer 100% pure essential oils. Never any synthetics or other harmful ingredients. Free education is always available to everyone so anyone can learn at home at their own pace. Free classes, monthly product trainings, links and social media groups are also available to help you learn when you become a member of our wellness group. A list can be found at Dreamsofjeanne.com under Classes and Workshops tab. Remember this offer is ONLY AVAILABLE FOR CLASSES BOOKED WITH ME ON OR BEFORE October 21st. It’s not basic and it’s not business!! Join us for an evening of advanced education. This evening is perfect for anyone who wants to enhance their essential oil knowledge on how to use their essential oils for cleaning, personal care, and pet care. Our desire is to help you find a greater love for essential oils and for you to better understand how they can be used in your day to day lives. We will also be highlighting some of the benefits our your wholesale membership and the best way to be purchasing your favorite oils and other products. Have you wondered what sets doterra essential oils apart from other essential oil companies? Join us as Rod Richardson shares the heart of dōTERRA and why we are the leading essential oil company in the world and what sets our oils apart from the rest. 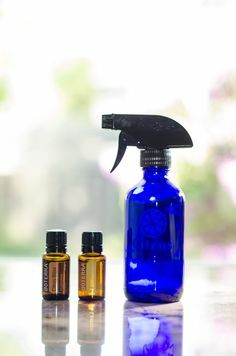 Cleaning With Essential Oils- Nikki Poppe, a Gold, has been using essential oils for 5 years and loves teaching others how to incorporate oils into their daily routine. She loves researching new ways to utilize essential oils, whether it be for cleaning, cooking, or personal care. In her free time she is a Super Sport Mom to her son Austin. Personal care with dōTERRA- Brooke Bredael, a Elite from Luxemburg, WI Owner/Operator of Ponytails On Main Salon. Giving you some insite on creating a healthy body to achieve great hair, skin and nails. Essentially Healthy Pets- Brianna Hess, a Blue Diamond, Mother of 5 and has been with dōTERRA for 6 years. She is passionate about animals and empowering others to make posititve life changes. Over the past 6 years dōTERRA has allowed her family to live without fear, discover their passions and reconnect with each other. It is her desire to help others do the same! Maximizing Your Membership/Heart of dōTERRA- Rod Richardson, Blue Diamond, has a vision of inspiring and developing great and powerful leaders throughout the world. He currently has a dōTERRA team of thousands in every US State and 28 foreign countries! Rod’s mission is to lift and liberate the world one drop at a time! This event is FREE and open to the public. Please make sure to register for this event. Those who register prior to event will receive one Free Raffle ticket! Additional raffle tickets will be available at the event and can be purchased for $3 for 1 ticket, $5 for 2 tickets and $20 for 10 tickets. We will have hundreds of dollars of essential oils and other dōTERRA products for the raffle. Get a FREE ticket HERE! They are nearly sold out. Oh yes you can cook and bake with essential oils and if you are heating below 120 degrees you can even enjoy the medicinal benefits of the oil as well! Here is a fabulous recipe for Marinara Sauce. Most commercial brands of sauces like this are loaded full of MSG and sugar to enhance taste. This recipe contains no added chemicals and can help support more healthy eating in your family. Reiki is a fabulous way to improve your health. It can be even more beneficial when you add essential oils with it. The 7 Chakras or energy centers of the body can be assessed before the the session begins. By doing this the practitioner can discover which chakra or chakras may be out of balance. Oils can be applied topically or diffused while the reiki session is happening. When experiencing serious or chronic physical or emotional health issue, it is my recommendation that you jump-start the healing process by scheduling three energy sessions within 10 days. At that time we will re-assess how you feel and discuss your follow-up plan. Packages are available at a discount for Reiki as well as my other services. Now for many of us we think that becoming healthier takes special products and LOTS of $$$$. It is simply not true. You can even schedule a free private consult with me at my Hortonville office conveniently online. If you already take a vitamin/mineral/omega 3 supplement make the switch and see the difference in how you feel. 30 day money back guarantee for these 3. And I am still on my journey. Have another 40 to go yet, but even if it takes me another 23.5 weeks I know I will keep it off for good. It won’t pile back on as soon as I stop using the oil blend or even if I stop using the supplements. I probably won’t feel as good without the supplements but I won’t need them to maintain my weight loss. It’s true, essential oils can actually support our emotions. There is scientific evidence that your sense of smell or the olfactory bulb is directly linked to your amygdala. Your amygdala is an area of neurons in the brain that control memories and emotions. Including the “fight or flight” response we get when we sense fear or in some cases think we are fearful when really we are not. In ancient times when we lived in the wild and there were tigers lurking around every corner waiting to pounce on us we needed to be able to kick into our “fight or flight” mode or be eaten. This mode increases our heart rate and breathing in order to get more blood to the muscles so we can run for our lives. This also slows down digestion and other non-vital body functions until after the threat of the tiger passed and we were in a safe place. Unfortunately, even though there are no tigers waiting outside of our home, when we are under stress our body responds as though the tiger is chasing us. Even when clearly it’s not, clearly we are safe from danger and bodily harm, but our body responds as though the tiger is there. This can eventually make us very sick because our body is constantly sending out adrenaline that is making our heart beat faster all the time and our digestive system shut down. Our food isn’t being digested properly so we don’t get the nutrients we need. Digestive disorders can begin. Our heart has extra wear and blood pressure may rise and stay at that level. We never calm our body. We are never ending the fight or flight mode. Now back to that amygdala area. This area is the main spot where the “fear” of that tiger is housed. In fact all of our fears and other emotions are here. When we feel fear or stress this area of the brain sends out signals that we need to fight or run away from danger. What we smell can trigger this response – like smelling smoke in your house. In turn, things we smell can calm us as well. Sometimes these smells can trigger memories that are also housed in the amygdala. Like smelling fresh baked bread may remind you of your grandmother baking bread when you were little. Essential oils have hundreds and sometimes thousands of chemical components that can do different things. Think of it as a tool box filled with special tools. Each one can do certain things, like calm and ground you or working as an anti-inflammatory. But when you put all of the tools together you can actually build a house with them all. Instead of taking one component and making a synthetic form of it and adding it to your product to help with a specific thing – like stomach upset, the components are all left together in their natural form. The components together in any one oil or blend can work together to support the entire body. And the smell of one oil or blend release all of these components into your amygdala. They can then calm this area and slow or stop the fight or flight response in it’s tracks. Calming our fears or imaginary fears and in turn calming the cardiovascular and nervous system. Below are some diffuser blends that can help with different feelings and emotions. But you can also put a drop of oil in your hand and rub your palms together and breathe in deeply a few times. Or use a diffuser necklace where drops of oil can be placed in the necklace to breathe in conveniently anywhere. JUNE PROMOTIONS & SPECIAL OFFERS!! June is bursting with summer savings and promotions! If you are ordering your oils with a standard order you are missing out on the monthly specials that DoTERRA offers. DoTERRA Rewards their customers for loyalty. Thanking them for using their products and helping them to build a strong community for all of their farmers, distillers and packaging specialists. The Loyalty Rewards Program is really one of the best rewards programs out there. Learn More About LRP Here! Here is what you can earn when you place a 200 PV Loyalty Rewards order on or before June 15th…. FREE 10 ml Roller bottle of Immortelle – $92 Retail Value!! With these powerful oils in this blend you can…..
AND IT’S NOT JUST FOR WOMEN!! And on top of all this DoTERRA offers a product at 10% off each month too! This month it is TWO Products!! These two are so beneficial to the digestive system. If you have ever taken an anti-biotic in your lifetime then you NEED a probiotic for at least 1 month to help build up the good bacteria in your intestines. Take it from me – who has studied nutrition – the powerful anti-biotics the medical industry has now not only destroy bad bacteria but they also wipe out the good bacteria we need to digest our food properly, and they do it quite quickly. Anyone who has taken anti-acids or been prescribed Proton Pump Inhibitors on a long term basis need to realize that although it helps with things like acid reflux and Gerd when it does this it is lowering the acid in the stomach. Acid is what digests our food and makes it available for the intestines to pull out the nutrients we need from our diet. Without the food being properly broken down the body cannot get the nutrients out that it needs and undigested foods are passing into the colon. This can cause gas and bloating but it can get more serious. The colon pulls water and liquids out of the food passing through. That is part of it’s job. When it does this the food can become so dried out that it cannot move properly through the colon. It can literally get stuck in areas and begin to ferment and can even cause serious disease. Constipation can also be a result of this. Terrazyme are digestive enzymes that can help to break down the food so that a lower stomach acid content can digest the foods better. So if you must take Proton Pump Inhibitors it can be very helpful to your system to use extra enzymes and probiotics to help break down the food. You will get more nutrients out of your diet plus the bloating and gassy feeling may decrease as well. Remember that everything listed here will be available to anyone who places a Loyalty Rewards Order. The other offers and FREE points will not be available to you. If you have any questions give me a call or message me. I can help you get the most benefits from your membership! Membership is only $35 for the first year and to renew is only $25 each year after and you receive a FREE bottle of Peppermint Essential Oil – Retail value of $28. DIRECTIONS: Combine all ingredients except zinc oxide and essential oils in a jar. Place a saucepan with 2 inches of water on stove over medium/low heat. Place jar in saucepan and stir contents until ingredients start to melt. Once all ingredients are combined, add in zinc oxide and essential oils and stir well. Store in a cool place. The month of May has brought a mixture of weather which has brought bugs, allergies and even fungus. Yuck! How can you combat all of these without using toxic chemicals? Easy! We use essential oils! There are so many oils that can help to repel pests like mosquitoes, ticks, fleas, mice, ants, spiders….etc. Did you know that equal parts of Lemon Lavender and Peppermint can help with that stuffy nose and clogged sinuses caused by pollen and dust? It’s true. A 10 ml roller bottle of this blend, when applied to sinus areas and reflex points twice a day, can last 10-12 weeks!! With a Wholesale Membership the oils for this 10 ml blend would be $2.72 plus about a dollar for the roller bottle (sold at many online locations). Keep in mind this roller ball will last for 10-12 weeks when using twice per day. Much more economical than typical over-the-counter support for allergies. Contact me to learn how you can enjoy a wholesale membership – there is no obligation to order monthly or to sell anything. Did you know that Melaleuca (tea tree oil) is a powerful anti-fungal essential oil? There is also a wonderful Cleansing blend that is already blended for purchase that can destroy odors in one use! I’m not kidding here. 2 years ago our dog got sprayed by a skunk, twice within weeks of each other. We used just 2 drops of the blend in ONE dog shampoo and the smell was completely gone! Imagine what it can do for smelly shoes, gym bags, pet odors and more! It can help with fungal growth as well, like shower stalls, window frames, washing machines. And again, no toxic chemicals or ingredients. You mix the blend with water and vinegar and spray on areas you wish to clean. It’s that simple. Make in small batches and store in an airtight container. This is enough for two to four applications. This soft scrub is excellent for getting rid of soap scum, removing stains, and brightening your tile and toilet. To use, just apply and let it sit for 5-10 minutes and then scrub. Once done scrubbing, take a wet cloth and wipe clean. Editor’s note: Liquid castile soap is a vegetable-based soap commonly found in health food stores. Dr. Bronner’s is a popular one. Look for unscented. This scrub is also great to use to help clean your kitchen sink, refrigerator, or tile floors. Editors note: You may want to look for witch hazel that is alcohol free if you will be spraying this directly onto the skin. Find more great tips and tricks on my facebook page or find me on Pinterest! Stop at the DoTERRA Essential Oils Booth,ut get there early to enjoy a coupon! Check out the essential oil promotion as well! Each coupon can be used for the discount on up to 3 sessions from May 1st – June 15th, 2017 at the Hortonville office. YES, men can use the coupon as well.